They shove the long-form improvisations known as “Harolds” into a higher gear. In a Shoves show, you might see a man who tried to push someone off a ledge repeatedly instead fall off himself. A totally insane boss might invite you to walk “the fine line between eccentricity and insanity” with her. The whole world may transform into one where all events inevitably take twists like those in Hitchcock movies. One monkey might get jealous of another for evolving before he can. And it may be revealed that the president started the Iraq war because he’s turned on by the sight of protestors outside the White House. The Harold form can seem unclear to the uninitiated, but for those in the know, the Shoves, while following the conventions of returning to scenes and characters over the course of a 30-minute performance, adeptly incorporate references and never miss a step. Formed in October 2004, the Shoves are about two-thirds of a prior troupe housed at the Upright Citizens Brigade theatre, Dillinger, and one-third of another troupe, Police Chief Rumble. Ex-Dillingers Zach Woods, Erik Tanouye, Brett Christensen, Risa Sang-urai, Sarah Burns and Lennon Parham joined ex-Rumblers Angeliki George, Bobby Moynihan and Charlie Sanders. 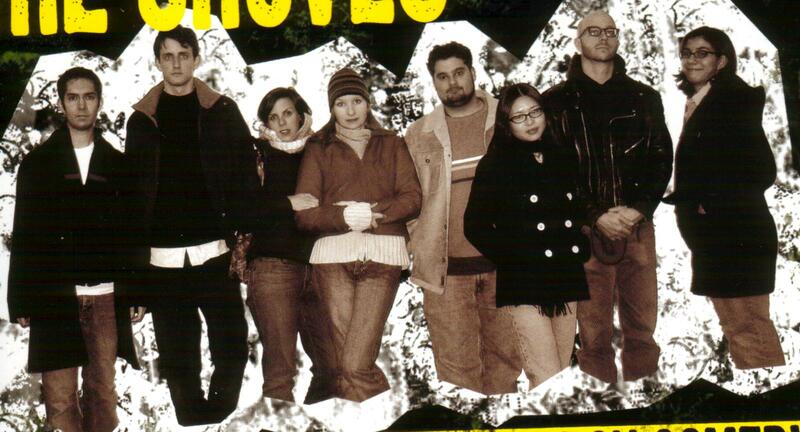 Since they formed, the Shoves have grown into the must-see group at the UCB’s Tuesday night “Harold” shows. The level that the Shoves have reached, however, is harder to create than it looks, members of the group explain. If a scene isn’t going anywhere, Zach says, “we can recognize that sooner than the audience and do something before that becomes to clear to everyone.” That could include someone jumping in as a new character or otherwise altering or adding something to the scene so it does say something. In the group’s effort to continually improve its improvisational skill, they work with Peter Gwinn, a performer from Chicago who has authored books on improv, and now is based in New York. “He has really helped us to see the Harold as a whole structure, from suggestion to opening to connections,” says Brett.